One of the biggest complaints or frustrations from those who want to start running is that they have no time to run. 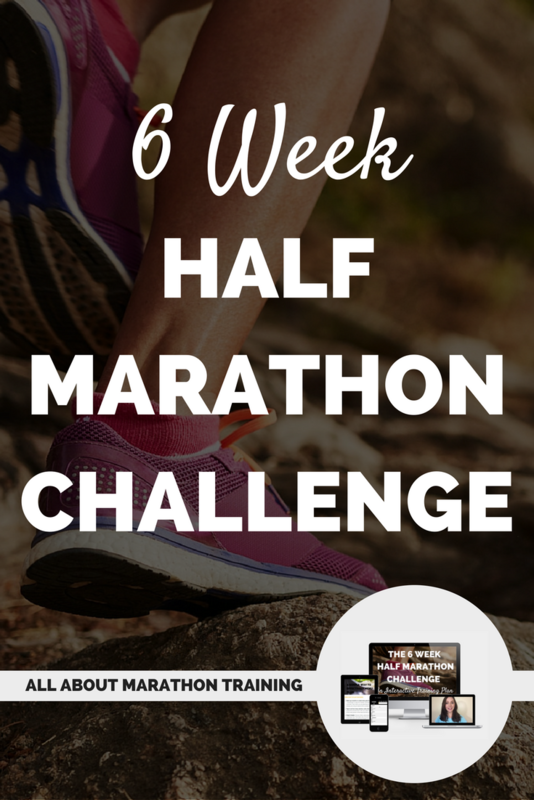 They want to run, they might get an occasional run in a couple of times out of the month but they find it hard to actually get into and keep up a running routine. With only so many hours in a day, believe me I know how hard it is to even make time for the things we love! However if running is something you really want to do and get into a routine with you have to put some thought and planning into. It won’t just happen. Unfortunately. The number one thing you need to remember…the one thing critical to your success is to…. 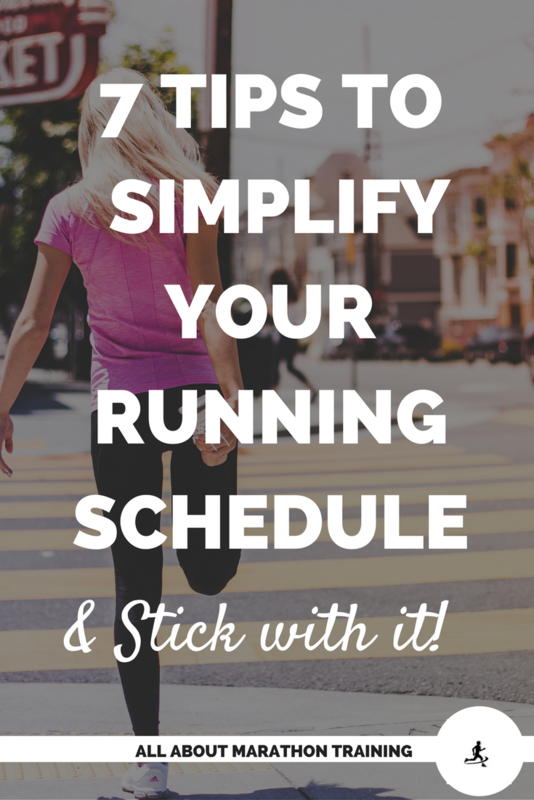 Here are 6 Tips to Help you Start Running by Simplifying your Running Schedule to make it a habitual part of your life! Only keep 1-2 running outfits. Get a basket or a tub and throw everything that you need for running in it. It might include: your shirt, bottoms, jacket, socks, shoes, body glide, watch, band-aids, sunscreen, compression socks, head bands, iPod, ear phones, etc. Keep a running stockpile in your car. This might just include a second set of everything that you keep in your running basket in your closet. However keeping a set in the car will afford you the leisure to stop and run anytime and anyplace where the mood might strike. It also just gives you that sense of freedom and can hold you too your running schedule since you will always have a set of clothes with you. Don't try to get into a running routine by building miles. Go off of time. It will just take more time in the beginning to figure out which running routes include 2, 3, or 4 miles. Instead, focus on building from 10 to 20, to 30 minutes. And yes, just 10 minutes of running a day is going to make a difference and is a great starting point! 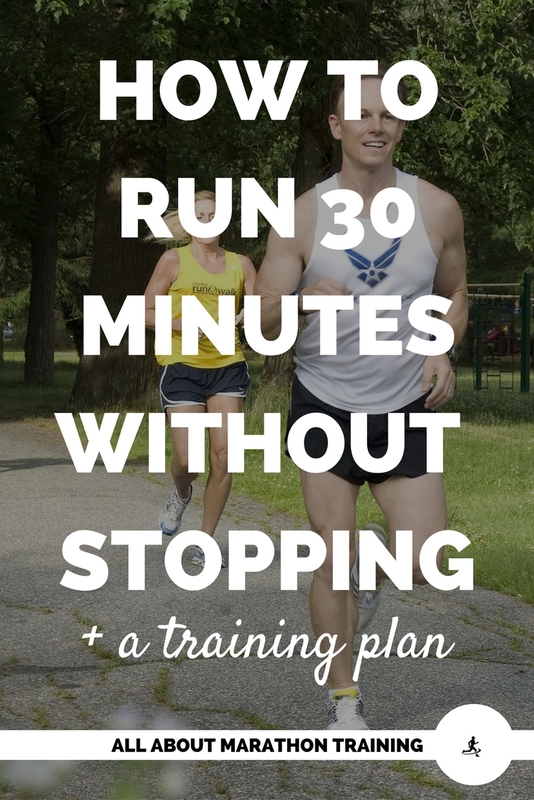 Check out this Run/Walk Plan that will help you go from walker to being able to run 30 minutes continuously! Start running at the same time of day each time. This is going to get your circadian rhythm or internal clock used to exercising at a set point each day. Eventually (yes, with time!) it will come to expect it when that time of day (or night) comes around. That means you are more likely to do it. You may have to play around with what times work best for you but after 2 or 3 weeks try to stick with one certain time that is just for running. Think about what will hold you accountable. What will most likely help you to stick to a running routine? Do other people hold you more accountable or is it your own expectations that are more likely to help you succeed? 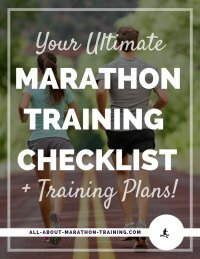 Is it finding a running group or a running buddy? Or maybe just keeping a running log? 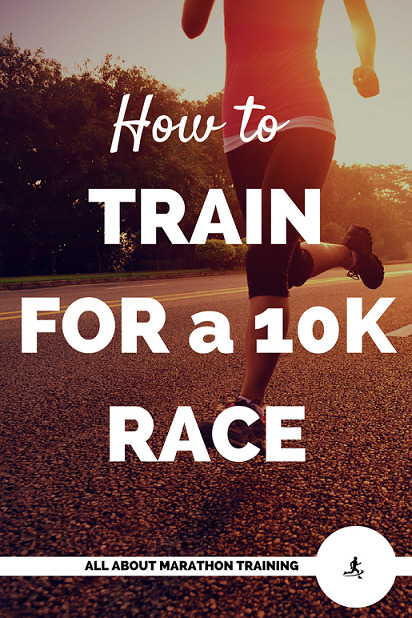 Signing up for a 5K or 10K race? Choosing a reward? Whatever it is, make sure that it is strong enough to make you keep up your routine. 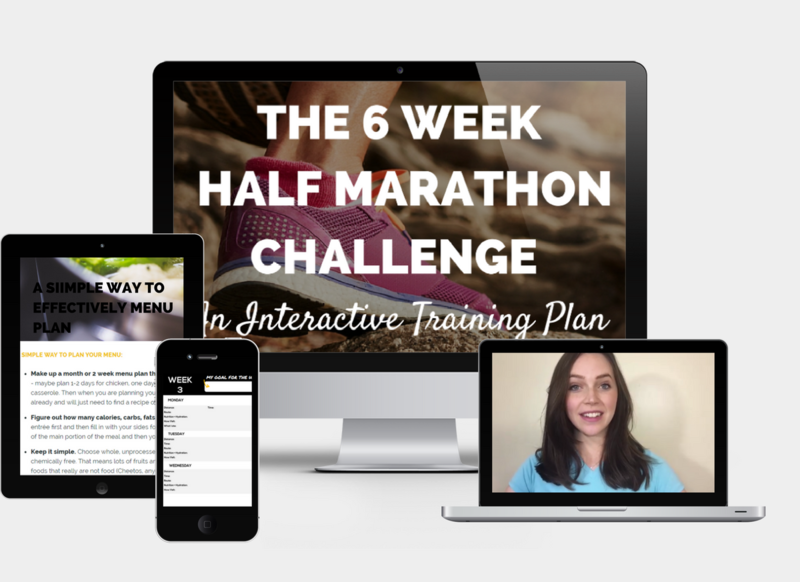 Challenge yourself with our 6 Week Half Marathon Challenge that will help to hold you accountable by giving you challenges and that half marathon goal to work towards! 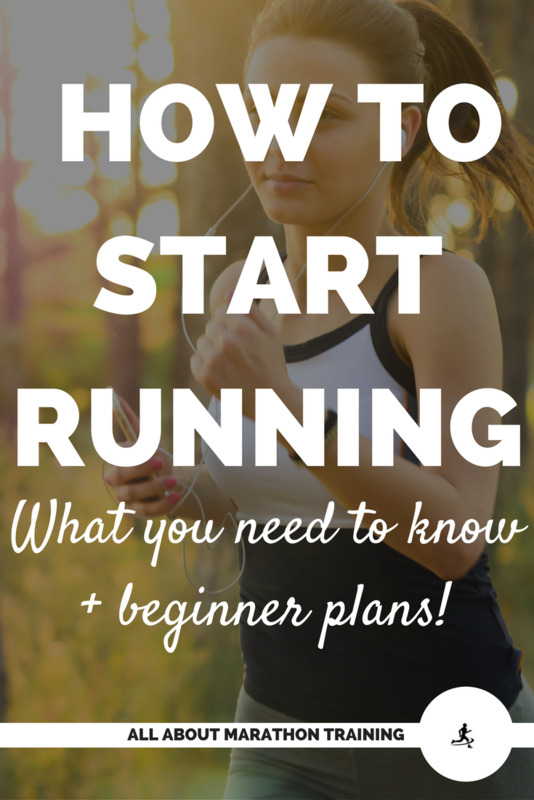 Also, if you are want to start running check out our Running for Beginners Section.